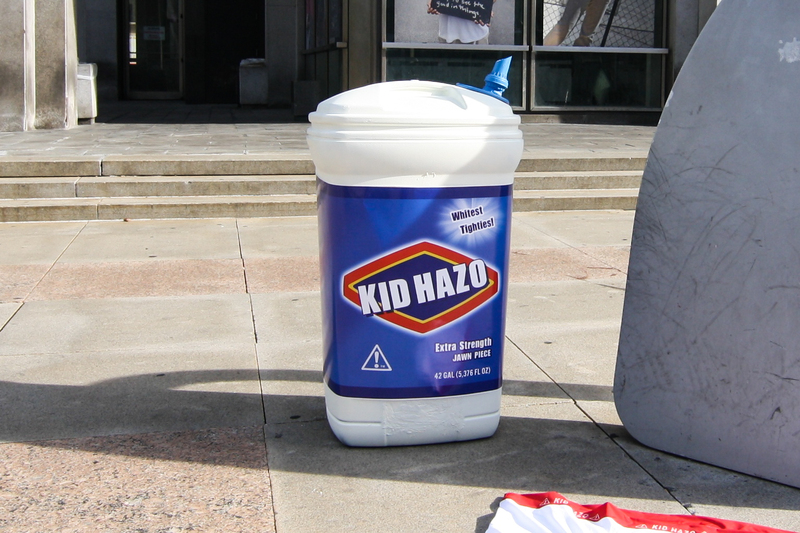 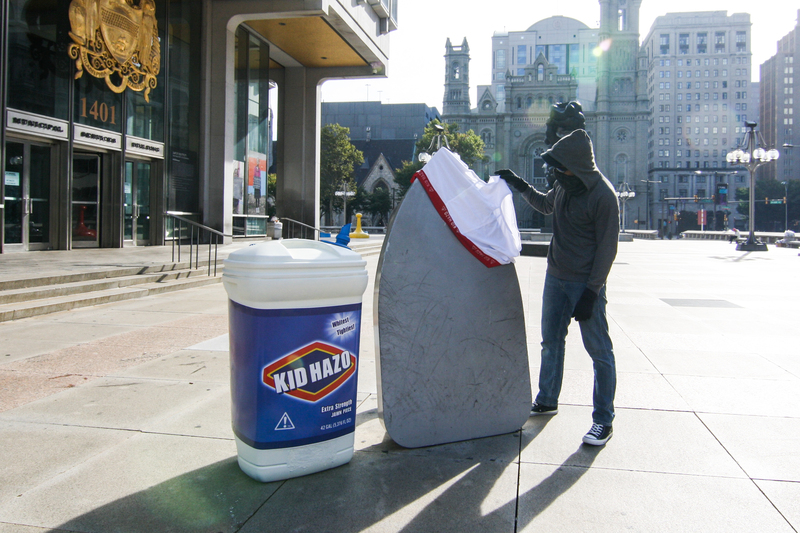 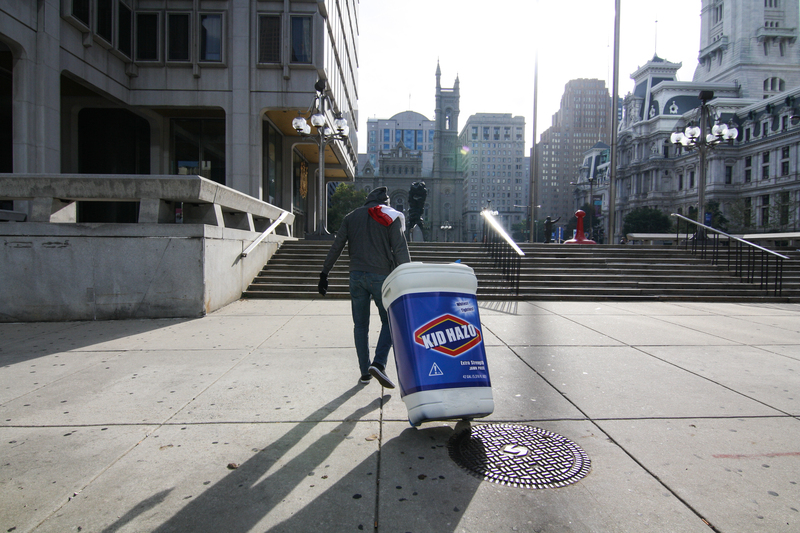 Yesterday was “Laundry Day” in Philadelphia, and while you were getting your work week wears ready for Monday, Kid Hazo was finally putting that Monopoly iron across the street from City Hall to good use! 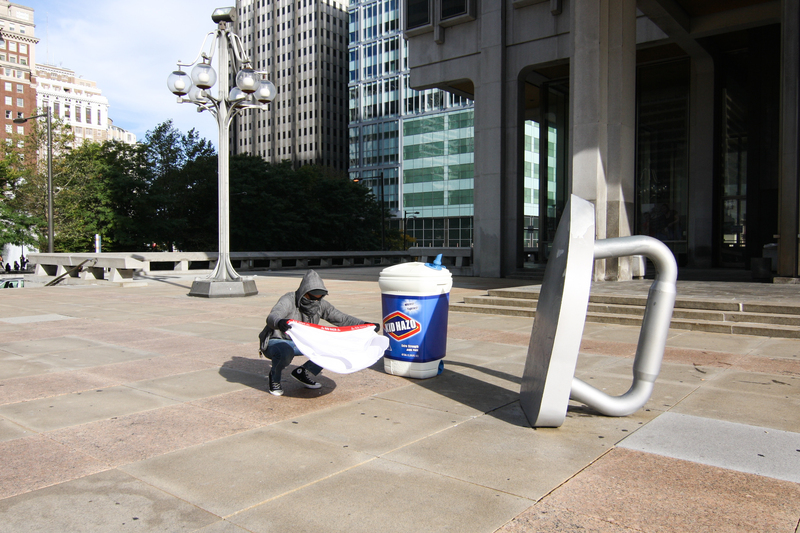 Be sure to check out this piece – as well as many more equally clever installations – at Kid Hazo’s first-ever solo show opening this Friday, October 3rd at LMNL Gallery at Bluecadet from 7-9PM… See y’all there! 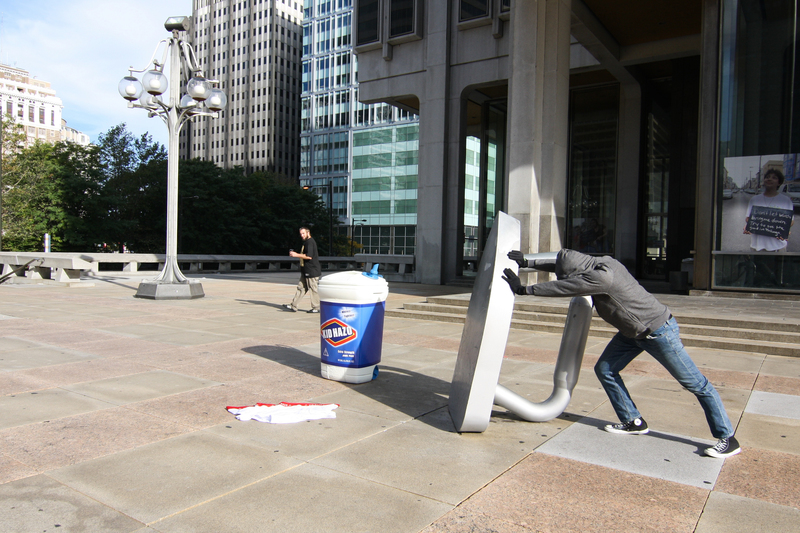 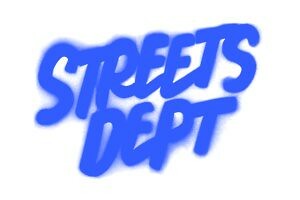 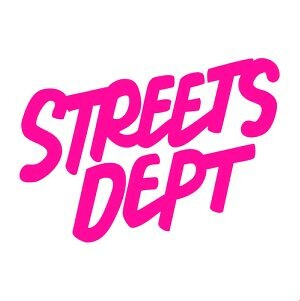 Check out all of Kid Hazo’s Philly street sign installations HERE.